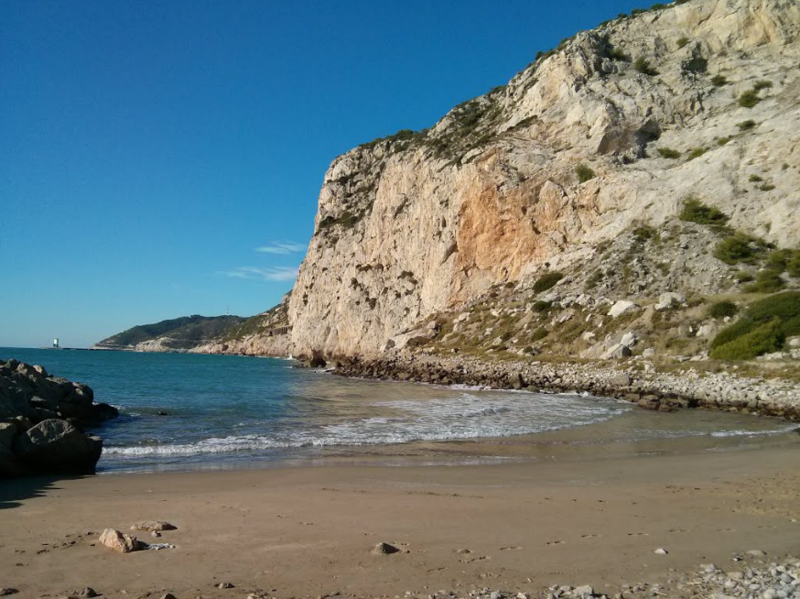 Here is a presentation of the beaches near our house in Garraf. 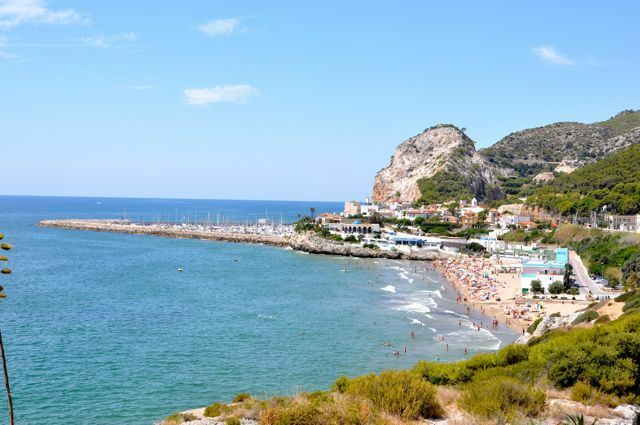 Garraf: the main beach of the village. 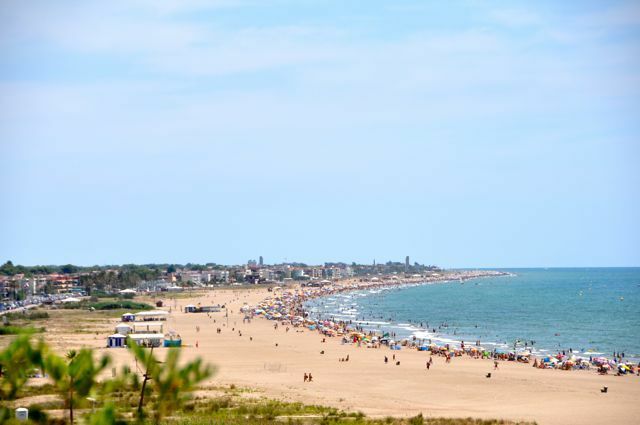 With its little colored houses on the sand, occupied by local families during the summer. 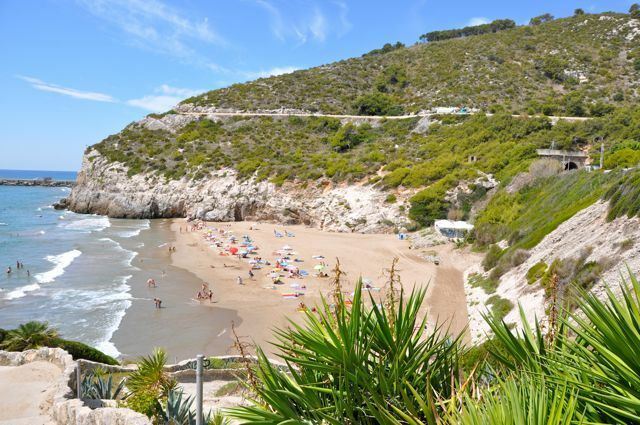 Size: lenght 380 m et width about 28 m.
The second beach in Garraf, small and hidden beside the port. Unknown, with few people. Very quiet place. It is a naturist beach. Possibility of parking with the restaurant. (payment required). Access through the port where you can find several restaurants and shops. From april to november, you can find a “chirringuito” on the beach. 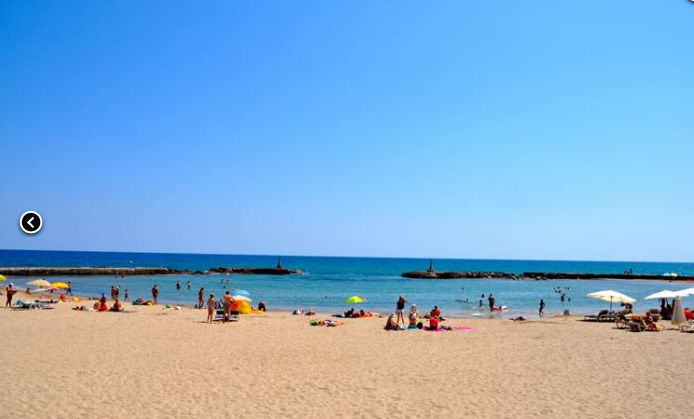 Kilometers of sand beach: Las Botigues, wich is part of Sitges, then Castelldefels and Gava. Various equipments for kids. Bicycle and roller track, many restaurants and shops. Kitesurf place. 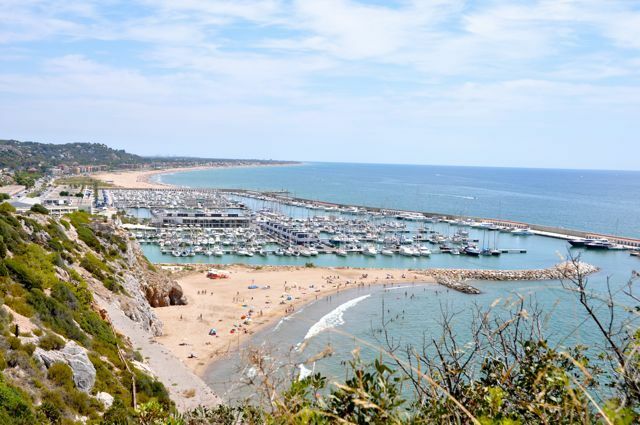 Coming from Garraf by the sea front, entering Sitges, you find the marina of Aiguadolç. Bar restaurant (chirringuito) on the beach. Pages Fragata, Ribera, Estanyol : in the center of Sitges. During the summer, many events are organized there. Perfect for families with young children. Special beach protected from the waves. Situated just in front of Terramar hotel.